Jordan Rhude, of Elkhart, runs down the Millrace Trail during The Goshen Brewery Company’s weekly Goshen Millrace Dam Beer Run Thursday evening. 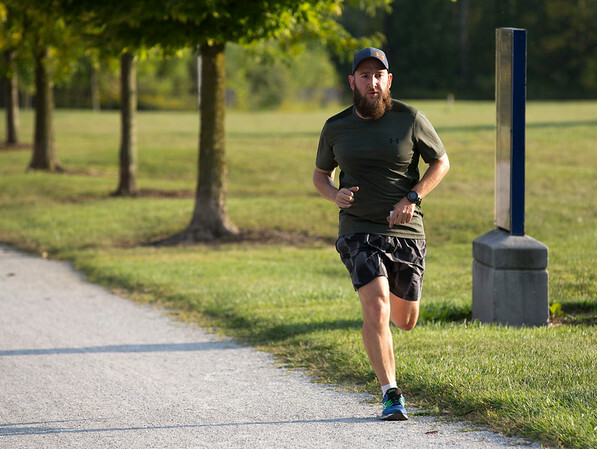 Every Thursday at 6 p.m. runners meet outside the brewery and run to the dam and back, about four miles. Afterwards, the runners meet up and enjoy drinks at the brewery. The runs are free and open to the public.